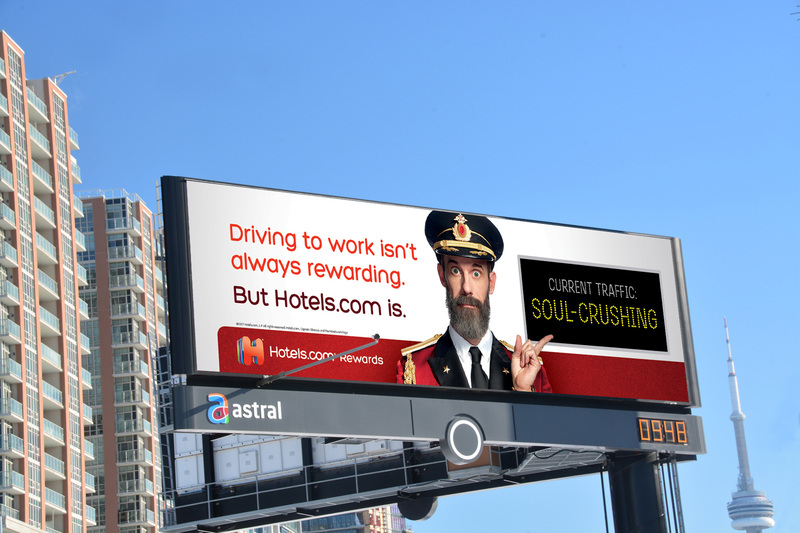 Using Astral Out of Home’s Momentum service, Hotels.com created a dynamic ad campaign directly linked to traffic conditions. 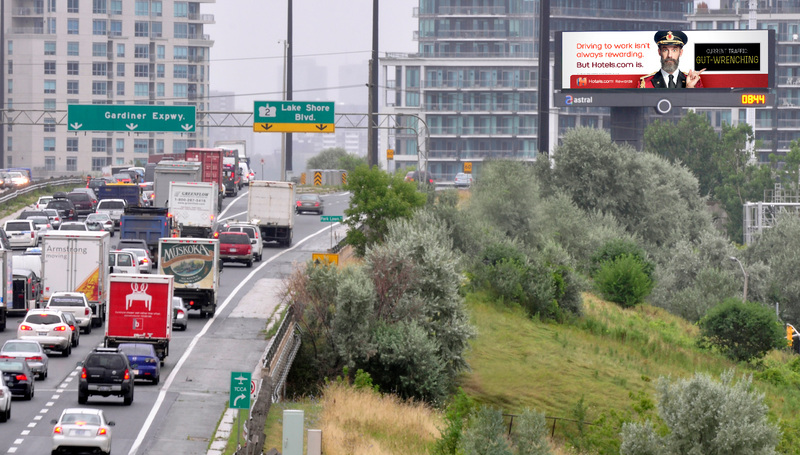 The ads appeared on two large-format digital billboards to promote the company’s online booking service for the summer vacation season. 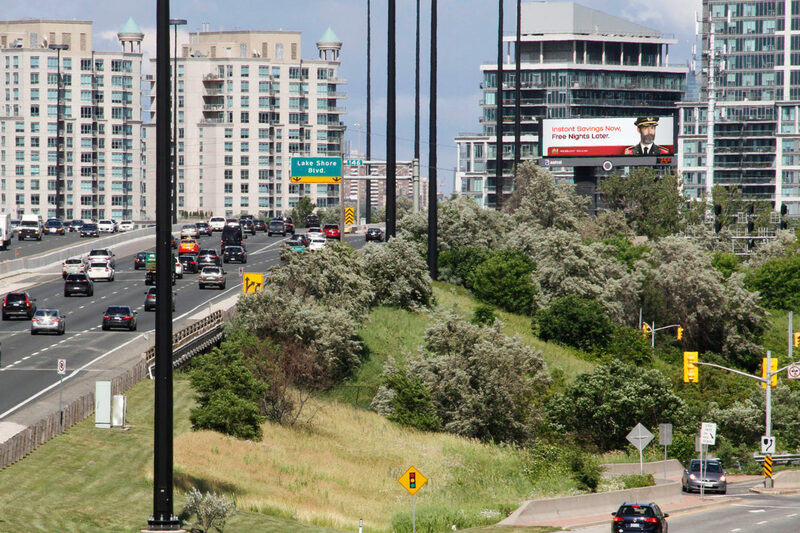 The first face was located on the Gardiner Expressway, reaching drivers from Toronto’s western suburbs, while the second was located on the TransCanada Highway, close to Iron Workers’ Memorial Bridge, near downtown Vancouver. The amusing concept used the latest traffic conditions as a way to emphasize product benefits, i.e. instant rebates when traffic was light and rewarding deals when it was heavy. 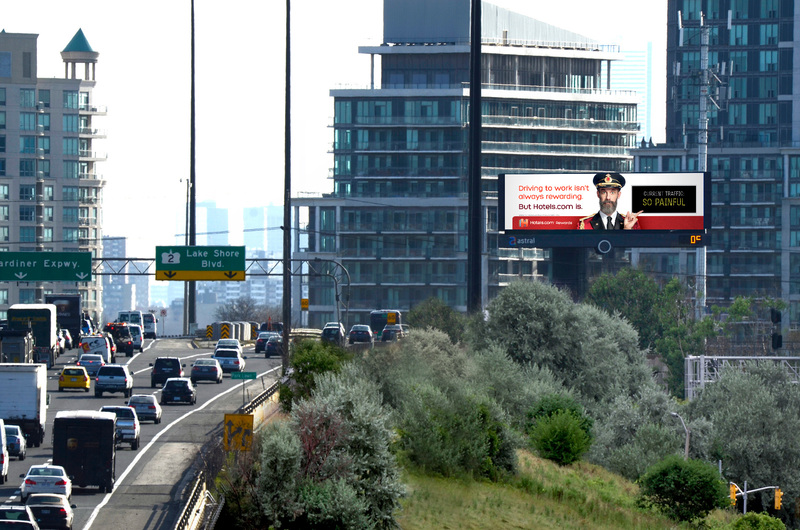 The ads were designed to bring a smile to commuters’ faces, regardless of the traffic situation.